Each year, the NACAS Business Partner Advisory Group, which consists of a group of board members, auxiliary representatives, and industry leaders, evaluates business partners within the higher education community to determine the partner that embodies the ideals of outstanding customer service, supports the educational process at NACAS institutions, and has contributed most significantly to the success of NACAS through creative and generous means. 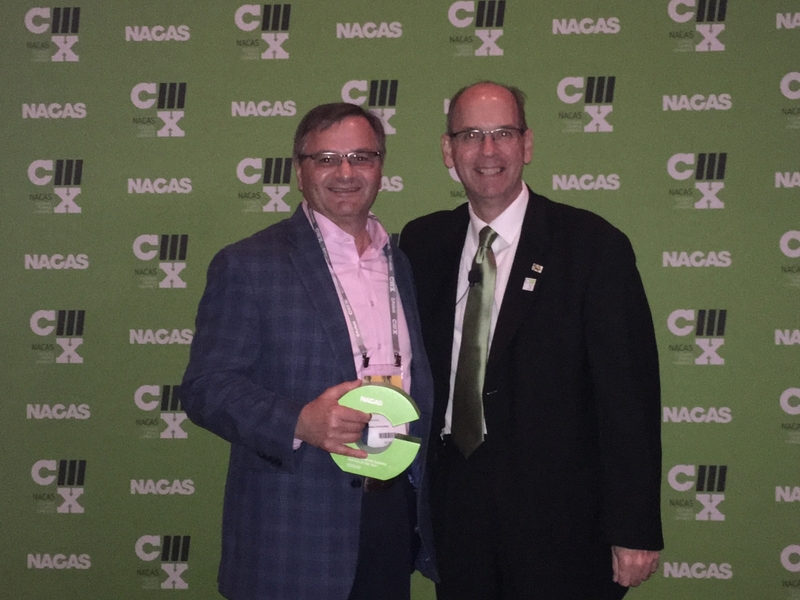 Sodexo was nominated as, and ultimately named, Business Partner of the Year NACAS West by two of the company’s clients, University of Hawai‘i at Mānoa and New Mexico State University. Clients saluted Sodexo for its partnership and contributions to student well-being and engagement. Sodexo has been a repeat sponsor of NACAS West’s C3X, an annual conference that convenes leaders from more than 700 higher education institutions and nearly 200 NACAS Business Partners to showcase the most inclusive and modern perspective of how auxiliary services enrich the campus experience. Additionally, Sodexo has been a consistent business partner sponsor, presenter and participant for the regional and national conferences. These efforts led to their recent recognition as NACAS West Business Partner of the Year.